Experience Suzhou at your own pace on this convenient private day trip. 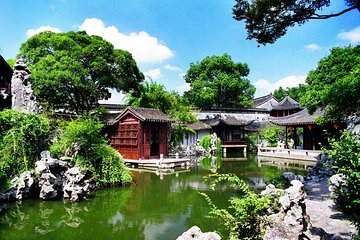 Traveling in climate-controlled comfort with your personal guide, see Tiger Hill, Cloud Rock Leaning Pagoda, and the Lingering Garden, one of Suzhou’s UNESCO World Heritage gardens. Enjoy a local lunch then explore the beautiful water village of Tongli Town before you return to your hotel.